Submitted by Emily Brightwell on Mon, 2006-07-24 20:06. "He hated questioning people. He could never tell whether or not someone was actually lying to him, and he knew, shocking as it was, that there were some people who lied to the police on a regular basis." 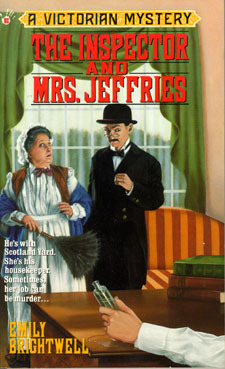 A doctor is found dead in his own office - and Mrs. Jeffries must scour the premises to find the prescription for murder!